Kevin Mallow was raised on the family farm near Walters, Oklahoma. 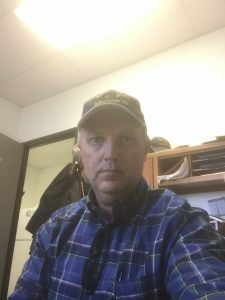 In high school Kevin was a member of Future Farmers of America and 4-H. After high school Kevin attended Cameron University where in 1988 he graduated with a Bachelor of Science Degree in Agriculture with an emphasis on soil and crop science. Kevin was employed as an Oklahoma State University Cooperative Extension 4-H Agent from 1988 until 1992. There he completed extensive work with Agriculture in the Classroom, Project Wild, Fishing Clinics and Livestock Show Programs. While at this position Kevin pursued a Masters Degree in Adult Education with Oklahoma State University. In 1992 Kevin accepted the position as La Plata County Extension Agriculture Agent for Colorado State University Cooperative Extension. Kevin completed extensive work on weed management programs, hay production, horticulture and Master Gardeners but especially enjoyed working directly with farmers, ranchers and homeowners to solve their agriculture and horticulture problems. Kevin was in this role as the Colorado State University Cooperative Extension Agriculture Agent until 2003. In 2003 Kevin began work with the Southern Ute Indian Tribe. Kevin has worked as the 319 non-point source coordinator, Soil & Water Conservationist and is currently the Agriculture Division Head. Throughout his career, Kevin has been active on many boards, councils and committees. Kevin currently resides west of Durango, Colorado.